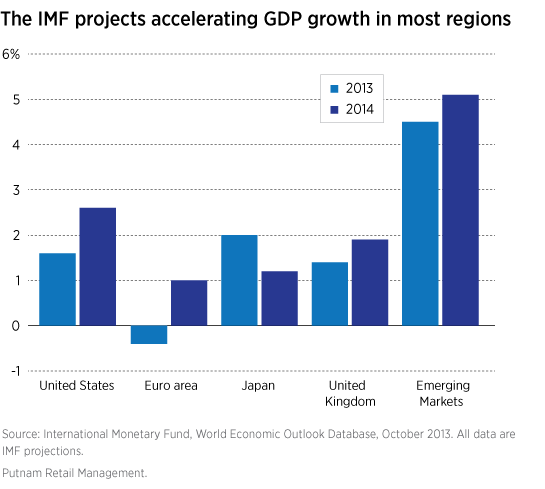 The global economy is finding new engines of growth in the developed markets. In the United Kingdom, we see a balance of fiscal retrenchment and stimulative monetary policy, which is lending support to key sectors such as financials. This has contributed to the momentum of the country’s overall recovery as well as to our conviction in several “self-help” opportunities, where companies are pursuing aggressive internal restructuring actions that should result in meaningfully improved profitability. Across continental Europe, the sharp austerity measures put in place a few years ago are now less of a drag on growth, and the economy is consequently emerging from its recession. Like the United Kingdom, tough economic conditions have forced Continental European companies to restructure as never before, bolstering their ability to improve earnings and operate more efficiently. Stocks in Europe have risen but are still cheap, in our view, relative to U.S. stocks. We believe European stocks are also likely to show better earnings momentum as Europe’s economy recovers. Japanese equities look reasonably attractive to us when we consider company valuations and earnings momentum. As long as the yen remains relatively weak — which it has been since the rollout of the government’s aggressive monetary and fiscal stimulus toward the end of 2012 — a variety of companies in Japan will likely exhibit attractive business characteristics. Autos and industrials performed well in the third calendar quarter, and we think there is room for share-price gains in these areas. Emerging markets have been the weakest-performing equity class for four consecutive years. This year, the underperformance has been substantial. While we are generally finding better opportunities in developed markets, we believe the current broad-based sell-off in emerging markets, which began roughly in May, does open the door to certain opportunities. We think spending in the consumer sectors, including health care, could be increasingly strong over time. In addition, given China’s significant pollution and other environmental problems, we believe spending on pollution remediation and control could be significant going forward, even if China’s overall growth continues to disappoint. 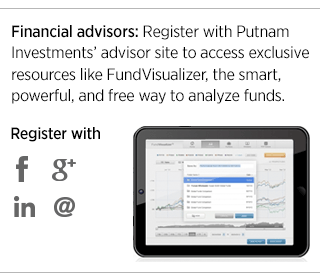 Read Putnam’s views in the fourth quarter Capital Markets Outlook.